Whether you're a football fanatic or a pigskin novice, you can make the most of the upcoming Super Bowl frenzy. Get the attention of every student in your classroom with these terrific football-themed lessons. Social studies/art -- design a ticket. Show your students a sample ticket to The Super Bowl. 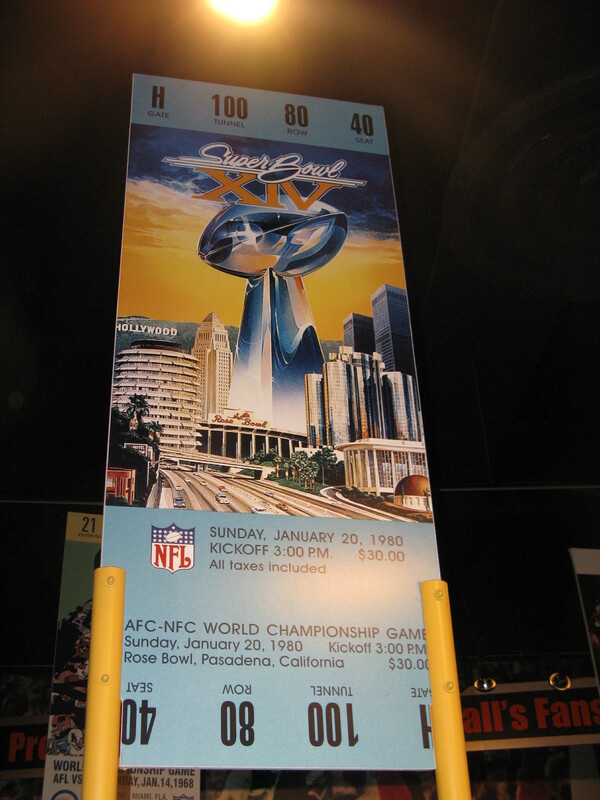 Talk about how this ticket reflects the location of the game in 1980 -- Southern California (Pasadena). Challenge students to use books and/or the Internet to learn more about this year's location; they should use what they learn to design a ticket that reflects the location. Or create a ticket that would represent your city/state if the Super Bowl was to come to town. Geography -- plot Super Bowl cities. As a geography activity, have students locate and mark on a map all of the Super Bowl locations from Super Bowl History. Students can use this map of the U.S. to plot the locations of the cities. Have some cities hosted more than one Super Bowl game? As an extension activity, you might have students plot the locations of the winning teams for each Super Bowl. Students will be able to use these maps to visually identify the cities/teams that have won multiple games. Math -- planning a Super Bowl trip. Tickets for the Super Bowl are hard to come by, but if you have big bucks you can still get them through one of the ticket resellers such as Stub Hub or TicketMaster. Challenge students to find the best game ticket available and then use travel Web sites to plan their trip to this year's Super Bowl. They will need to book a round-trip airline fare and two nights in a hotel. Which students will use their searching and math skills to find the best deal for what will be a very expensive trip? Language arts -- identifying team names and logos. Send your students on a hunt to identify the logos of the pro football teams! Display the National Football League Team Logos. Challenge students to use color, mascot images, and other clues to match each logo to a team name. Have the students make as many matches as they can identify and then use search engines or the NFL Web site to track down the identity of the logos they do not know. Increase the level of difficulty in this activity by having students name the quarterback of each team, or make it more "educational" by having them name three facts about each of the home cities of the football teams. Geography -- identifying team locations. 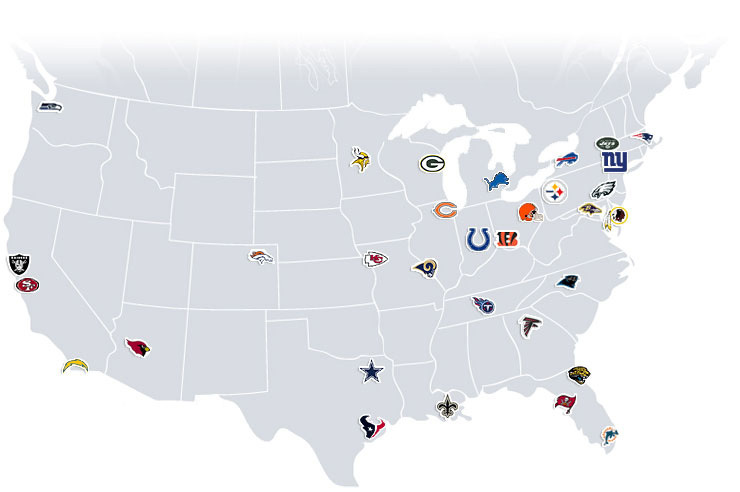 Have students place the National Football League team logos on a large U.S. map. (Alternate idea: Have students paste them on this U.S. Outline Map.) The resulting map should look something like this map. As an extension activity, you might arrange students into small groups; let each group take the ball and run with it by reapportioning the NFL conferences. When they have completed that task, instruct them to subdivide the teams as equitably as possible into six regional conferences of their choice and to be prepared to explain their rationale. Use this "Super Bowl" bulletin board idea to improve student performance in a variety of ways. Math -- graph Super Bowl teams. Your students can turn this list of Super Bowl Winners into a graph that shows each team and how many times it has won. (Students might use the free online Create a Graph tool to build their graphs.) You can simplify this activity by having them graph only the teams that have won on more than one occasion. To expand this activity, have your students also graph the number of losses each team has had, or the number of losses of the teams that have been defeated more than once. A comparison of the graphs will reveal some connections. Using the two graphs, your students can identify the teams that have had the most Super Bowl appearances and even graph that information. It's graphing upon graphing from the gridiron. Language arts - media literacy. Each year, the Super Bowl game gets almost as much press attention for its TV commercials as for the game results. Advertisers pay millions of dollars for the opportunity to advertise on the Super Bowl game because they know they will have a captive audience of millions of viewers. Over time, some very memorable ads have appeared on the Super Bowl. Preview and choose a handful of the most popular Super Bowl ads of all time to share with students. [Warning: Carefully select ads examples; some banned ads also appear on this site.] Have students vote for their favorites and explain why they made their selections. You might have students write a paragraph in which they support their choice. In addition, it might be fun to discuss which commericial made the "most effective" use of its advertising time; in other words, which advertiser got its money's worth? Each year, the Souper Bowl of Caring involves students as they collect millions of pounds of food to benefit local organizations. Dont miss this opportunity for your school to connect with the community during Super Bowl week. Read more in this Education World article: Souper Bowl Connects Kids to Their Communities. Students can view those moments on the NFL Web site. Go to Top Ten Super Bowl Plays. Once students have reviewed the signature moments, have them write a brief essay that tells which of the five plays they choose as the "best of all." In their essays, they must provide a solid explanation/support of their choice. Math -- creating a chart. How do the two teams in this year's Super Bowl look on paper? Review the rosters of the two teams on the NFL Teams Web page. Students might work in groups to determine what can be learned about a team from its roster. Some possible questions might include. How many quarterbacks are on the team? Which player weighs the most? Which player weighs the least? Who is the tallest player? Who is the shortest player? How many rookies are on the team? Who is the oldest player on the team? What is the average age of players on the team? How many injured players are on the team? Who is the kicker on the team? Who punts for the team? Once students have determined their questions, they will want to create a chart that compares the answers to those questions for each of the competing teams. Is how a team "looks on paper" an indicator of just how good they will be on the field? Language arts -- alphabetical order. 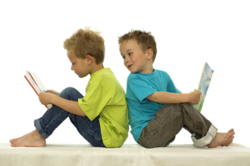 Looking for an interesting way for your students to practice their alphabetizing skills? The Pro Football Hall of Fame can help! Click the Hall of Famers tab and provide a list of players for students to alphabetize by last name. You might extend the activity by asking students to research a few of the players on the list and to provide three facts they learned about each player.